Everyone who is a parent can tell you that parenting is not easy. It is by far the hardest job in the world, and it should be, you are bringing up the next generation after all. Yet, many of us come unprepared for this role. We study years in university for most professions, we may even have multiple degrees, yet we come into this job with little or no preparation. Sure, we read a few articles here and there, and swapped a few tips with friends from time to time, but it is not nearly enough. Because if it takes years of study for an engineer to learn how to design and construct objects, what can we say about molding a human being? Our children come to this world partially developed and it is up to us to do the rest. To raise them to be responsible, moral, and kind people who love and adhere to the deen requires substantial, and ongoing effort. That’s why it’s important to reevaluate yourself from time to time, and make sure you are still on the right track. The journey of parenting has many bumps along the way, and it’s easy to get off course. One of the areas most families struggle with is how to effectively discipline children. This is usually a very hot topic, as typical approaches range from spanking to time-outs to withholding privileges, etc. Some of us may have become so exhausted that we may have given up altogether, while some may toot the success of their approach which they claim is evident in the immediate compliance of their children. However, if we want to judge the true success,we also need to look at the long-term results. If we are dealing with the same problem year after year, without seeing much improvement, it means that we probably need to rethink our disciplinary tactics. Often times, applying the right type of discipline should not only be thought of as challenging, but it should be considered an art. The right discipline should teach our children how to make the right choices, even when we are not there. It should also teach our children how to be empathetic and to realize the impact of their choices have on others. When we think of it in this way, we start realizing that our responses to their behavior should always be carefully thought with our long term goals in mind. But when our children are behaving in a way that tests our patience, it is easy to apply not the most impressive of tactics. We might easily find ourselves throwing fits, and acting not much different than a kid ourselves. I know I personally struggled with disciplining my children for years, as with many people I know. When you have multiple children, it’s often hard to find an approach that works for everyone. Also, I would learn some techniques, but forget to apply them after a while as the “default” would eventually kick back in. This “default” consisted of ways in which I was brought up as well as “strategies” employed by my co-parent who would mashaAllah make a good drill seargeant lol. Needless to say, this combination was not as effective as I would have liked it to be. My children were still repeatedly engaging in behavior which I wanted to steer them away from. Things had really gone downhill at some point that I started to worry about what kind of children I was raising. That’s when I knew that I needed to rethink my parenting strategies. I recently read a parenting book called, “No-Drama Discipline: The Whole-Brain Way to Calm the Chaos and Nurture your Child’s Developing Mind,” which really opened my eyes, and changed my perspectives on many of aspects of parenting. Using neuroscience to understand what is going on in our child’s brain, they outline an approach which does not only help to defuse the situation at hand but should over time achieve what every parent wants, which is a way to teach their children how to discipline themselves, and control their impulses. How often do we read up about the physical health of our children, learning about everything from whooping coughs to “proper” weight gain? Yet, we often neglect to learn about the inner workings of our children’s brain which is crucial part of who they are, and is fundamental to understanding their behavior. The authors were able to explain the science of it all in layman’s terms, making learning about topics such as the functions of the prefrontal cortex fun, fascinating, and easy to grasp. The book provided so many insights on why many parents experience downfalls, and how to avoid it, as well as clear cut strategies consisting of easy to remember steps on how to handle challenging situations. It also depict situations we all commonly find ourselves in using fun illustrations and provides alternatives to the primitive responses most parents resort to. If you forget any of the strategies, the authors have conveniently provided a “refrigerator cheat sheet” to reference back to. I thought this was clever because even though everything seemed to click with me and make a whole lot of sense from the get-go, I knew I would need a refresher eventually (especially with the sometimes very forgetful “mommy brain” that I have hehe). Well, it did not take me long to finish the book as I eagerly soaked up every ounce of advice that it offered. I found that the book go hand in hand with our Islamic values as it teaches us how to discipline our children in a loving, compassionate way that is both respectful and sensitive to their needs. I must say that after employing the techniques, I saw immediate results. My children were much more responsive, as I am now being more intentional about appealing to their problem-solving “upper brain,” and not their more primitive, reactive “lower brain.” As recommended by the book, the only way you can accomplish this is by first connecting with your child, and trying to calm them down before you start the actual “teaching.” Many times when our kids are whining, screaming, or throwing tantrums we just want to disconnect with them, even though it is the time when they need our connection and love more than ever. When we begin to acknowledge their feelings, we fulfill their needs to be understood, and that’s when they become more receptive to understand other people’s feelings and needs, and from there start to be able to think about how to solve the conflict at hand. Whoever said “Seek first to understand, and then to be understood” was right on 😉 ! The book also teaches you how to reframe your thinking about discipline, and look at “survive” moments as opportunities to “thrive” moments. Instead of dreading the challenging moments we may have with our children, as odd as it may sound, we can (and should) actually learn to cherish them. Afterall, they are golden opportunities to teach our children about empathy and how to make good choices! When you look at it from this perspective, it makes it much easier to stay poised even as your children are pushing your buttons left and right. I know it will take long before I can reach a point where I can calmly defuse every (or almost every) situation that arises. Through funny, personal anecdotes, the authors describe how even parenting experts can also lose it from time to time. It’s important to remember that although we strive to be better parents, we are also human and will make mistakes. But the wonderful thing is that the book shows you how you can also use these mistakes to your advantage, and turn them into opportunities to model for our children how to make things right. By saying things like, “I didn’t really handle that very well. Can I try again?” we show our children how to handle themselves the next time they lose their cool. We also model for them the importance of owning up to your mistakes, and giving yourself a second chance to try to make amends. MashaAllah, I am so impressed with the strategies and perspectives outlined in the book, that I am looking into ordering the workbook companion. 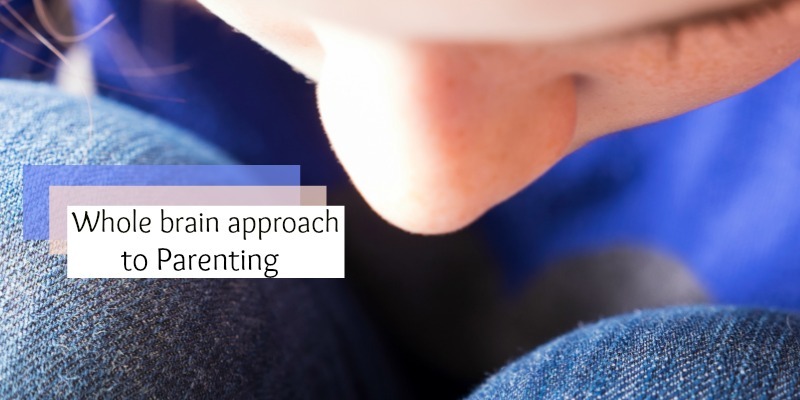 Although, I know I won’t be able to change my old parental disciplinary habits overnight, I want to continually strive to improve my parenting approach with each opportunity that I come across. Well, with four kids alhamdullilah, let’s just say, I will be having my fair share of practice 😉 .